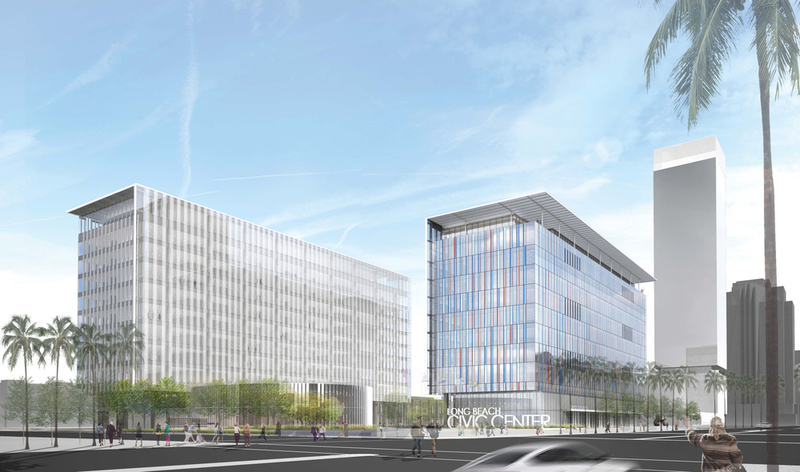 The New Long Beach Civic Center Project will bring to downtown a revitalized civic core to serve local residents and businesses, attract visitors and provide safe and efficient city operations to serve the citizens of Long Beach. 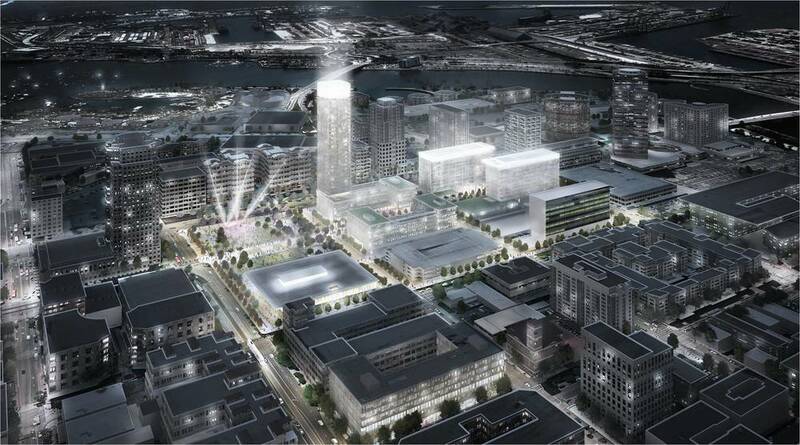 The $520 million, design-build-finance-operate-maintain civic center will replace the old city hall and provide efficient new offices for the Port of Long Beach, a new city library and a retail marketplace and public park that will serve residents and visitors of Long Beach for years to come. Plenary Edgemoor Civic Partners began its exploration of the Long Civic Center by talking to residents from the many neighborhoods of Long Beach. The residents of Long Beach are seeking a city center with a heart…one to be proud of. The design achieves a place where the diversity and richness of Long Beach comes together in one new civic center. December 11, 2017 – Happy Holidays! The Long Beach Civic Center Project has made much progress as we approach the end of 2017. At City Hall & Port of Long Beach HQ Buildings, the project continues to ascend, nearly approaching the completion of the concrete and rebar structures for each. As of early December, the buildings have progressed up to the completion of the level 9 concrete floor slab at the City Hall Building and the completion of half the level 9 concrete floor slab at the Port HQ. Additionally, curtain wall installation has commenced on the exterior of City Hall. For these two 11-story buildings, “topping out” is on track for mid-quarter one 2018. At the Library, structural timber is beginning to be erected via crane. The structural steel columns are standing tall, having previously been installed. In terms of construction materials, the project in total has included a large magnitude of components to advance the three buildings to their current heights: 42,500 cubic yards of concrete, 8.8 million pounds of reinforcement members, and 350 tons of structural steel. We look forward to keeping you posted on our progress! Click the image below to watch a video overview of the Long Beach Civic Center design concepts. The building design focuses key public spaces such as the lobby, civic plaza, and Council Chambers. We are also investing in elements that save energy and promote a healthy workplace. As a result, the new city hall is expected to consume just 25% of the energyof the current building. Our designed City Hall is highly efficient, flexible, and sustainable—incorporating an array of features from under-floor air distribution to extensive use of photovoltaic energy generation and natural light. What does that mean to the government workers and the public they serve? What does that mean to the public? The largest new amenity in the Park is the new 92,500 square foot Main Public Library located in the northern end of the revitalized Lincoln Park. 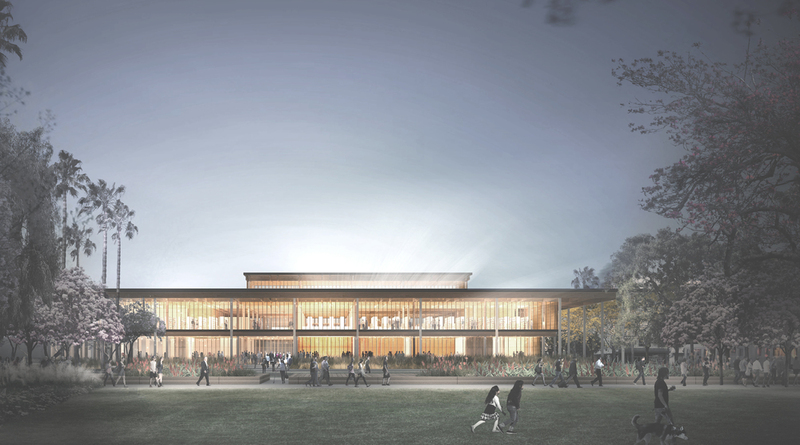 Conceived as a warm, inviting place with its wood beamed ceilings and glassy façades, the New Main Library will open to the park and nature with infusion of natural light. Its deep overhanging roofs will provide excellent shading, allowing for a greater use of glass and create a porch-like civic space overlooking the Park, blurring the line between the interior and exterior. The Library is a social place, multi-use by design, and will beavailable to individuals, groups, or events. Lounge seating, oversized tables, climate control, quiet areas, and more social, group spaces. Commercial development in the 3rd Street/Pacific area is planned as an apartment complex of up to 200 units. The Sares Regis Group (SRG), a pre-eminent developer and provider of comprehensive commercial and residential real estate services throughout the Western United States. For decades, SRG Commercial has created value for users and investors through commercial real estate development, investment and property. Commercial and residential development naturally fits into the site. More residents will trigger further development and, combined with the civic elements, will provide a 24/7 atmosphere that will reinvigorate this heart of the City. For commercial leasing and development inquiries, please contact us using the link above.